Once you get your discharge notification for your Chapter 7, you need to get to work on your credit rehab right away. We recommend you order a copy of your credit report from all three agencies: Equifax, TransUnion and Experian. You’re entitled to a free report from each once every 12 months. Don’t get lured in by any of the singing credit report commercials – just order your free ones. To save you time, we recommend this 3-in-1 form that you fill out once that gets you all the reports. Once you get it, confirm that yours debts that were discharged are accurately reported. We advise that you don’t rely on just one report – check all three – to get the best results. Discharged debts should show a zero balance. For any that still show a balance or are still accruing late fees, you’ll need to take action. Look for any accounts that you didn’t take out or debts that were previously paid off and should have already had a zero balance. Trust us, no one has an error free credit report! 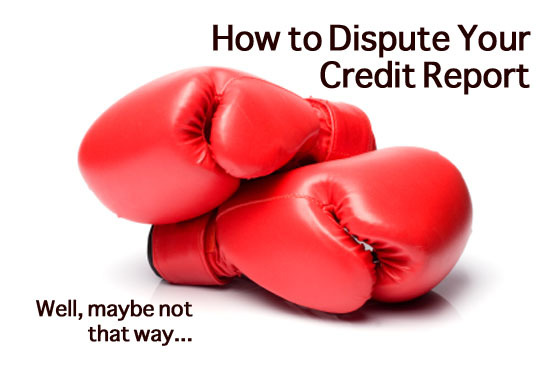 For any inaccurate information, you need to file a dispute so the credit bureau can investigate it. Don’t waste your time contacting the creditor that is showing the inaccurate information. Send in a written request in a template like this to the credit agency. We don’t recommend this because they have no incentive to correct it. 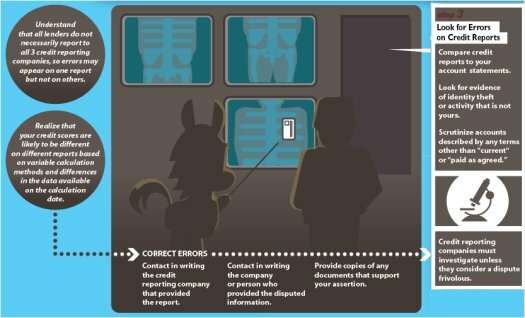 The credit bureau wants your files to be accurate because they sell your credit information! They’ll investigate within 30 days and get back to you. If you don’t hear back, we recommend you follow up with a call or another letter. If you have any credit that survived the bankruptcy – such as a car note, mortgage payment or student loans – be sure to stay current on these so that they will report good things about you to the credit agencies. Making sure your bankruptcy debts are accurately reported and keeping up with remaining debt are the foundations for rebuilding your credit and getting you back on the path to financial stability. We recommend you give yourself time to get stable and ensure you can pay your debts as well as put some money in savings (even a modest amount) before moving on to step five! Once your discharge is issued, you can expect it to be open season on your mailbox. If you have a steady income, you can expect to begin receiving credit offers – credit cards in particular – shortly after your final discharge is issued. But most of these initial offers are not worth the stationery they’re written on because they will be at overly high interest rates. We see with our clients that some may be desperate to have a credit card again and so take the first offer that they get. Be patient and wait until steps #1-#4 kick in and within six months to a year, you should start getting better offers. When you do get a reasonable offer for new credit at a decent interest rate, accept it, but don’t wear it out! Unmanageable debt was the reason you ended up in bankruptcy and you don’t want to be back there again. We prefer our clients move on to financial stability and not become repeat customers. With your new credit line, charge a little bit and then pay it off in full each month. Adopt a mindset to live more frugally after your bankruptcy! This will boost your credit rating because you’re using the card, but not exhausting your credit line. One of the important factors in your credit rating is how big your revolving credit limits are and what percentage of them you use. If you have a $500 limit and are tapping $498 of it, even if you’re paying the monthly installments on time, your credit rating will not be as high. If you have a $500 limit and are using $100 of it and paying it off in full each month, the rating impact will be better. Once you’ve had a card or two established for a while, request a bump up in your credit limit, but don’t use it – this will enhance your credit profile and keep you out of debt. You may be wondering what good a line of credit is if you don’t use it. Here’s something we want you to think about. Credit cards shouldn’t be used to buy things you can’t afford – they should be used as a convenience when you don’t have cash in on hand or if you can’t pay in cash (such as for car rentals or airline tickets). The function of a good credit rating is to keep the risk of offering credit to you low. For instance, your car insurance rates are driven primarily by your credit rating with only secondary regard for your driving skills. When you buy a home, your credit rating drives the mortgage interest rate while your salary is a secondary concern – the same when you go to buy a car. Credit is not to help you buy things you can’t afford – it is there to help you afford the things you need! If you’re drowning in debt and thinking bankruptcy – contact the law office of John T. Orcutt, North Carolina bankruptcy attorney - to find out if a chapter 7 or chapter 13 filing is a fit for your debt circumstances. Contact us today for a free consultation!